You are here: Home >Special > *Danube River Cruise Sale - 8 Days From $2099 US! *Danube River Cruise Sale - 8 Days From $2099 US! 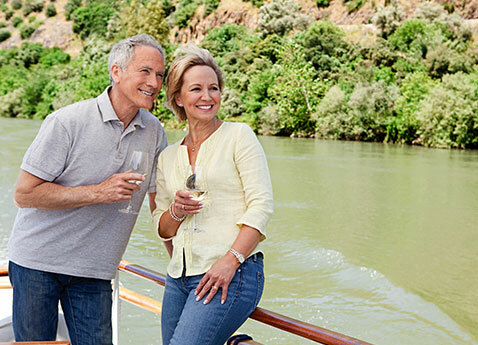 All-Inclusive Danube River Cruise Special! An 8 Day Danube River cruise will take you through four of Europe's most enchanting countries: Austria, Germany, Hungary and Slovakia! Explore Budapest's imperial and Art Nouveau delights, and take a comprehensive tour of beautiful Bratislava's baroque and Gothic buildings and fountains. In Austria, discover why Vienna is the waltz capital, sail through the spectacular Wachau Valley, and explore the cobblestone streets and charming town squares of Duernstein. And in Germany, admire Passau's ancient fortress and Italianate architecture. Includes a tour of the 900-year-old baroque Benedictine abbey at Melk and a full-day excursion to the scenic city of Salzburg. Today we visit highlights of the hilly Buda and cosmopolitan Pest sides of the city, starting with Pest's National Opera House and historic Heroes' Square. In Buda, walk along Castle Hill to Fishermen's Bastion and Matthias Church. Enjoy lunch aboard your ship; the rest of the day is yours to explore the city. You may wish to visit the Art Nouveau Gellert Spa, or one of the many other lavish facilities in this City of Healing Waters. Return to your ship for dinner and evening departure. 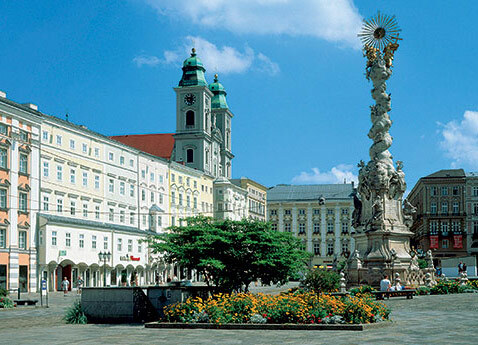 Today we tour the Austrian capital of Vienna. Ride along the Ringstrasse, which replaced the city walls in the mid-19th century. 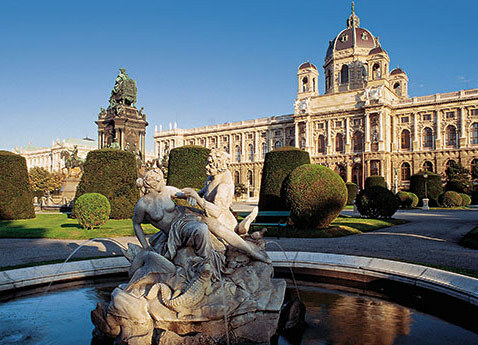 See some of the city's baroque architecture, including the world-famous Opera House, St. Stephan's Cathedral and Hofburg Palace. Return to your ship for lunch. The rest of the day is yours to further explore. As always, your Program Director can help you plan your free time. Or you may take an optional tour to Schönbrunn Palace, the Versailles of Vienna, erected in 1778 and graced by a number of formal gardens, Grecian statuary, the world's oldest zoo and Roman ruins. After dinner, relax or enjoy an optional classical concert. This morning, we dock at the picturesque Wachau Valley town of Dürnstein, where you can explore on your own, or take an optional stroll with your Program Director to see the town's highlights. After lunch aboard your ship, visit the 900-year-old abbey at Melk, a Benedictine monastery that began life as a castle of Leopold II. See its spectacular wall and ceiling frescoes; take note of the library's comprehensive medieval manuscript collection; and admire the graceful spiral staircase. Rejoin your ship and cruise through dinner. Arrive in Linz this morning and set off on an all-day excursion to the beautiful Austrian city of Salzburg, known as the film location for The Sound of Music. Ride through the scenic Austrian countryside to Salzburg's Old Town, a UNESCO World Heritage Site, and take a walking tour featuring the birthplace of Mozart and the Hohensalzburg Fortress just above the city center. You have some free time to enjoy Salzburg's narrow cobbled streets and colorful shops and stop for lunch in one of the charming cafes. Return aboard for dinner and a late-evening departure. Arrive this morning in Passau, at the confluence of the Inn, Ilz and Danube Rivers. Your guided walk along the town's narrow streets takes you through Old Town and past traditional patrician houses. You'll see the New Bishop's Residence and visit the impressive baroque St. Stephen's Cathedral with its ornate interior. Inside, you are treated to a special concert played on the 17,000-pipe organ, considered Europe's largest church organ. Enjoy an onboard lunch, but return to the city to further explore on your own before dinner. After breakfast, disembark your river cruise and proceed to the airport or your hotel for an extended stay. All fares listed are in US dollars. Fares are per person, double occupancy and include non-discountable amounts. Taxes are additional and vary according to itinerary. The "From" price listed on our website is for the April 8th departure date; other dates may have different pricing, please inquire. For new bookings only. Offers are capacity controlled and may be modified or withdrawn or sailing/departure dates may be substituted without prior notice. Certain restrictions apply.